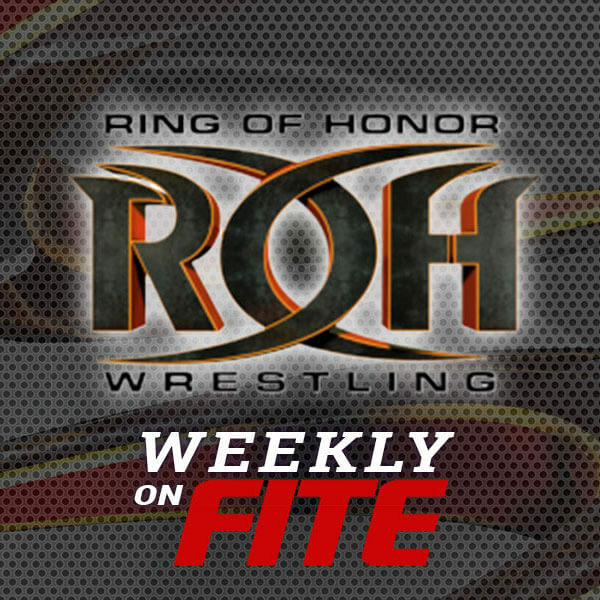 New York, NY (June 21, 2016) – FITE TV and Ring of Honor Wrestling (ROH) announced today that ROH's weekly program is now available around the world on the FITE TV app starting Monday June 27th. The weekly ROH program that airs on Sinclair Broadcasting's network of stations on weekends will now also be available every Monday starting at 7:00pm ET, and throughout the week for free on a Video on Demand (VOD) basis. "We are excited about this opportunity to increase the availability of our program around the world through this unique mobile app platform," said ROH General Manager Greg Gilleland. "ROH fans now have another easy way to stay up to date with the latest ROH action on their time schedule, wherever they are in the world." "Since our debut four months ago, we have had the opportunity to present over 100 live events on FITE TV, including Ring of Honor's outstanding pay per views this year. This is the natural next step for our viewer base to offer weekly original programming with a consistent schedule," said Michael Weber, FITE TV Senior Vice President of Marketing. "ROH fans now know that at 7:00pm ET, their favorite wrestling show can be viewed on either their mobile device or on their large screen television each week as a free VOD." Since FITE TV's debut in February, the app has partnered with over 80 different programmers to supply live and video-on-demand fights to FITE TV viewers. Some of FITE's programming partners include Ring of Honor Wrestling, Golden Boy Promotions, AXS TV, World Series of Fighting, Tuff-N-Uff and Evolve Wrestling. To view the full partner list, it can be found on FITE TV's website. To learn more about FITE, go to www.fite.tv or to download the app, go to Google Play: http://bit.ly/1QnPolu or iTunes: http://apple.co/1PxQGKT. Flipps delivers on-demand entertainment to any nearby connected TV from your mobile device without any additional hardware. The company has offices in San Mateo, New York and Sofia, Bulgaria and is backed by Tim Draper, Earlybird Venture Capital, Aslanoba Capital and LAUNCHub. Flipps' patented technology immediately works with over 350+ million connected TVs and is compatible with over 7,000 manufacturer models requiring no set up, no pairing devices, no cables, no dongles and no set top box. The Flipps mobile application is free and available on iTunes and Google Play. More information can be found at www.flipps.com.